Hello, my dear friends! I hope you are fine, I hope you smile and shine! 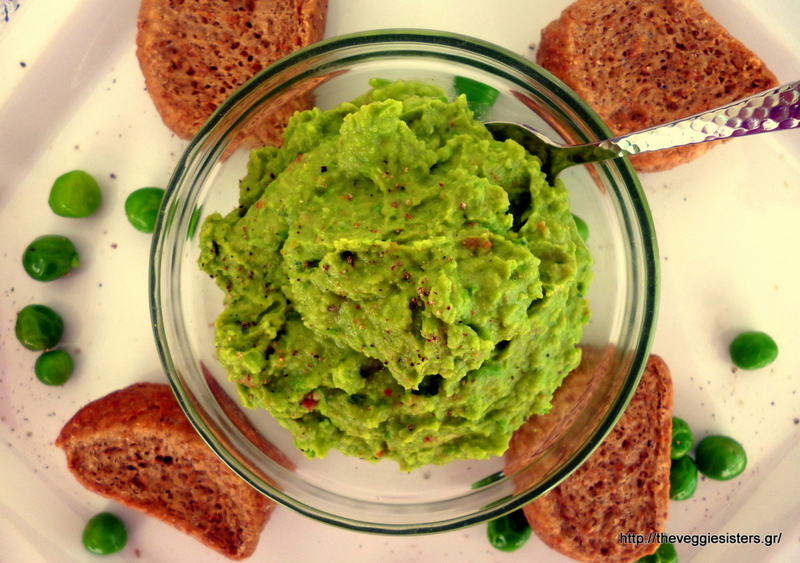 Today I am posting a spread I have fallen in love lately: it is made of fresh peas, sundried tomatoes, garlic and lime! It is really delicious and I confess I am addicted to it! 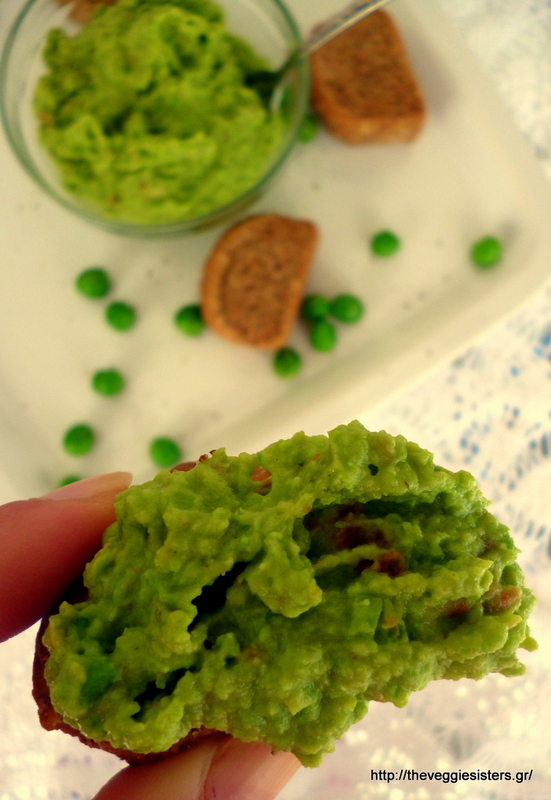 Spread on homemade bread, rusks or breadsticks it is simply irresistible! Or just eat it with a spoon. I highly recommend it to you! Put all ingredients in a blender and pulse until smooth. See? So easy but at the same time so incredibly delicious! Enjoy! 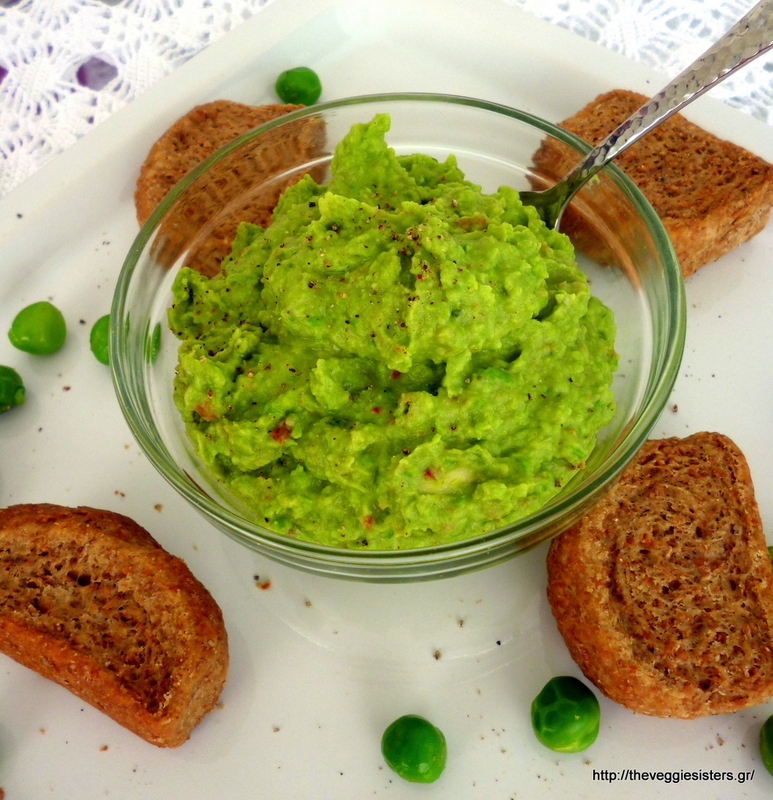 Share the post "My favorite spring spread : Fresh pea spread"